Touraine - City Vino, Inc.
Touraine is one of the four districts that comprise the Loire Valley in France. The name Touraine is derived from a Celtic tribe called the Turones who inhabited the region almost two thousand years ago. The control of the area changed hands many times over the years, but in 1205, Philip II Augustus of France regained Touraine. Saint Joan of Arc attended a famous meeting with the soon-to-be king Charles VII in the town of Chinon here in 1429. 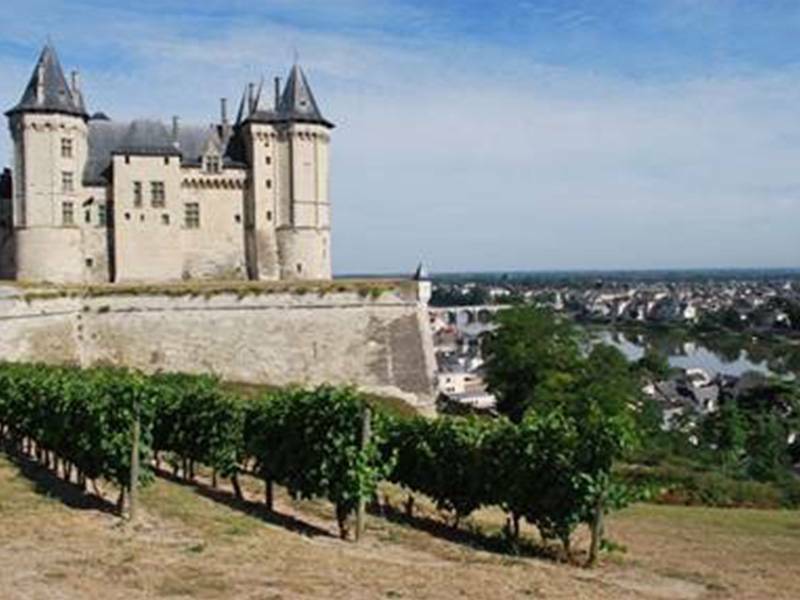 The first mention of vineyards in Touraine was in 582, and centers around Château de Chalonnes, which was a joint venture between the Count of Anjou and Catholic authorities. In the centuries since that time, the vineyards in the area have been developed or influenced by Augustine and Benedictine monks, the bourgeoisie, Dutch traders, the French Revolution and so very many more things. Current figures show that there are over 13,500 acres of vineyards planted in Touraine. Annual production of white wine is over 2.7 million gallons; red wine is over 2.3 million gallons; rosé over 500,00 gallons; and finally, over 700,000 gallons of sparkling wine. Nearly 80% of the white grapes planted are Sauvignon Blanc, and there is also some Chenin Blanc and Chardonnay. For red and rosé winemaking, more than 60% is Gamay along with some Cabernet Franc, Côt (Malbec), Cabernet Sauvignon, Pineaus d/Aunis and Pinot Noir. This week, City Vino will be presenting two wines grown and produced in Touraine from Domaine Bellevue—a family-owned estate that has been growing vines and making wines for four generations. The first wine is the Domaine Bellevue Touraine Sauvignon Blanc 2017. The wine is made from 100% Sauvignon Blanc with aromas and flavors of exotic (pineapple, mango, passion fruit) and citrus fruits. The second wine is the Domaine Bellevue Touraine Rosé 2017. The wine is made from a blend of Cabernet Franc 30%, Cabernet Sauvignon 10%, Chenin Noir 10%, Gamay 30%, and Malbec 20% with fresh red fruity flavors of raspberry and cherry.